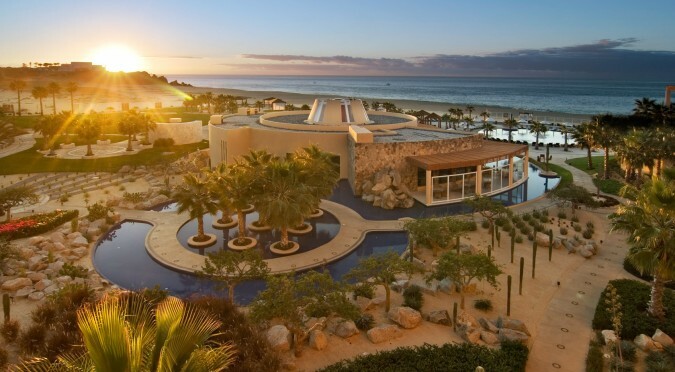 Los Cabos, Mexico (April 24, 2018) – - Pueblo Bonito Pacifica Golf & Spa Resort—the acclaimed adults-only beachfront hotel within the exclusive residential development of Quivira Los Cabos—will host the Life Luxe Jazz concert series, Nov. 1 – 4, 2018. “Life Luxe Jazz is a premier luxury cultural experience with jazz as the focal point, bringing people together with common interests in music, culture, and exceptional cuisine, with the goal of building bridges across borders,” say organizers from the non-profit organization. Included in the star-studded line-up is Grammy-winning contemporary jazz and R&B singer Norman Brown, who has sold nearly two million albums. Among the other artists slated to perform are Mindi Abair, Bobby Caldwell, Darian Emory, Boney James, Michael Manson, Keiro Matsui, Maysa, Meli’sa Morgan, Najee, Gregory Porter, Ernest Quarles, Lin Rountree, Lindsey Webster, Kirk Whalum, and Zoe Wood. T.S. Monk, son of the legendary late jazz pianist Thelonius Monk, will participate in free music clinics for local children. The goal is to introduce jazz culture to Los Cabos youth through education and engagement with select artists. Several events will be scheduled for the residents of Cabo San Lucas and San Jose del Cabo. All-day concerts will be held on an expansive stretch of beach in front of Pueblo Bonito Pacifica, which has been named the “World’s Most Romantic All-Inclusive Resort” by Travel + Leisure magazine. Food and drink stations will be plentiful. The resort’s large circular fire pits, artfully carved into the sand by the hotel staff, will be lit in the evening. A variety of ticket packages will be available, including luxury open seating, exclusive cabana loungers, and stage-front sectional sofa loungers. There will also be Elite VIP and Ultra VIP climate-controlled beachfront viewing areas in The Towers at Pacifica. Life Luxe Jazz and the Los Cabos community will welcome guests with an opening reception at Pacifica featuring soft jazz, a lavish buffet, Life Luxe Jazz Signature cocktails, and an open bar. An exclusive dance party will be staged at Pacifica’s Siempre restaurant and surrounding oceanfront pool area. The four-day festival will also feature a live jazz sunset cruise with a special menu, multiple bars, and close-up views of El Arco (The Arch), Cabo’s iconic rock formation at Land’s End. Patrons can participate in the Life Luxe Jazz golf tournament at Quivira Golf Club, a spectacular Jack Nicklaus design recently selected to Golf Digest’s list of the “World’s 100 Greatest Golf Courses.” Marked by sheer cliffs, massive dunes and desert foothills, the 7,085-yard layout offers more oceanfront exposure than any other course in Los Cabos. The event’s Ultra VIP option includes preferred tee times and green fees. Life Luxe Jazz branded merchandise as well as artisan-made handicrafts will be on sale in the Marketplace, a collection of specially curated tented experiences. For ticket information and the full event schedule, visit www.lifeluxejazz.com and for more information about Pueblo Bonito Resorts please visit www.pueblobonito.com .